The first impression of your home is made by your front entryway. More than just a front door and maybe some windows, your front entryway consists of the walkway up to the door, the decorative elements in the front yard, and even the surround of the door itself. 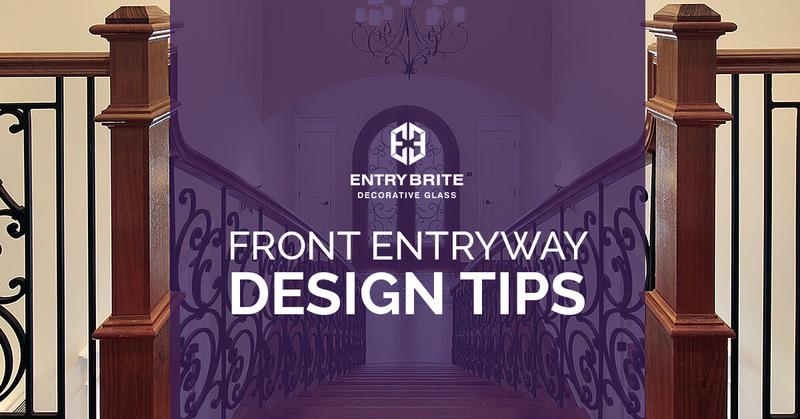 If you’re thinking of remodeling the entryway to your Las Vegas home, the designers at Entry Brite have a few tips and ideas for you to consider. Many homes make use of lighter color palettes, especially in Las Vegas, where using darker tones on the walls of a home is an invitation for solar gain and a warmer house. While your home may be a lighter color by necessity, that doesn’t mean you can’t make use of dark, bold colors on your front entryway. Combine dark bricks, flagstone, and other features for a striking contrast between your home and your entryway. But using contrasting colors should not result in clashing colors. If you’re looking for colors to contrast, look at painted trim pieces on the exterior of your homes. That includes window frames, door trim, etc. For many homes, the front walkway is often just a long, straight strip of pavement. For homes with smaller front yards, this is a utilitarian choice and doesn’t distract from the aesthetic of the home. But for larger homes, or homes with larger yards, the front walkway is an opportunity for expression. Rather than having a straight path to the front door, add curves, zigzags, and stairs. Line the walkway with lush plants, decorative rock gardens, or even craft a small courtyard space that has benches and a shade for guests to spend time in. Low walls can guide your guests to the door, and also serve as a stylistic piece. If you have a smaller front yard or shorter walkway, but still want that eye-catching front entryway, you may consider adding new architectural features. Channel the ancient Romans, and install a curved opening over your front door. Refit the door surround with decorative elements. You could enclose the front step to create the effect of a small patio space. A modern trend in home design is to make the door the stand out feature of the front of the house. This can be achieved through a variety of means. You might consider having a solid colored door in a bold tone installed. This colored accent piece will be sure to grab people’s attention. The other option for amplifying the appearance of your front door is to add decorative glass features. The door surround can be fitted with stained glass windows. Similarly, you can fit the top of the door, or even the entire door can be transformed into a stained glass piece. This lets natural light flood into your home brightening your entryway during the day. The addition of glass is stylistically sophisticated and adds not only beauty but also value. The designers at Entry Brite have helped homeowners in all over Las Vegas completely remodel their entryways. With years of experience and a commitment to helping their customers realize their artistic vision, Entry Brite can craft the entryway of your dreams. Browse our galleries for inspiration, or contact us today to speak with a designer in Las Vegas.